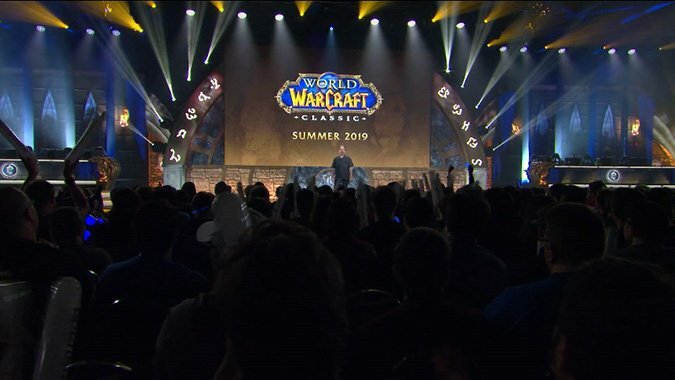 Speaking during the opening ceremonies of BlizzCon, World of Warcraft‘s new executive producer John Hight announced several new facts about WoW Classic. We now know that WoW Classic version will be available in summer of 2019 and that anyone with an active WoW subscription will have access to WoW Classic. If you ever played back in the day, or never did but have always wanted to, you now will have the chance to go back and play the game as it was when it launched. I think it’s a good move on Blizzard’s part to make it so that anyone who has a current subscription will get a chance to play the game. I for one am a trifle amazed that they’re that far along on it, to be honest. A summer 2019 release date for WoW Classic seemed like a fantasy when it was announced back in 2017 — phrases like we’re exploring the possibilities were used, not anything that gave us any idea that this game would be ready to release within two years. But now we know it’s coming less than a year from today, and if you want to play it, you only need an active subscription to World of Warcraft. Is this a cynical move to exploit players nostalgia to get people to subscribe to WoW? Probably? But who cares, because it’s win/win. Everybody gets something they want — people who want WoW Classic will get it for the price of a normal sub and people like me who want to dabble in WoW Classic maybe twice will get to without spending money on anything new. So look for WoW Classic soon, at least by Blizzard terms.